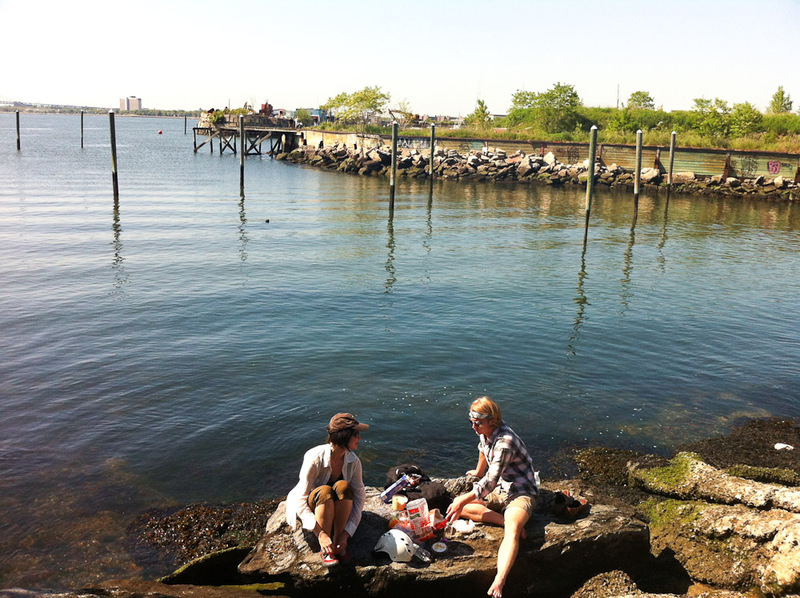 Photos from Bettina Johae’s May 19 Bike Tour! 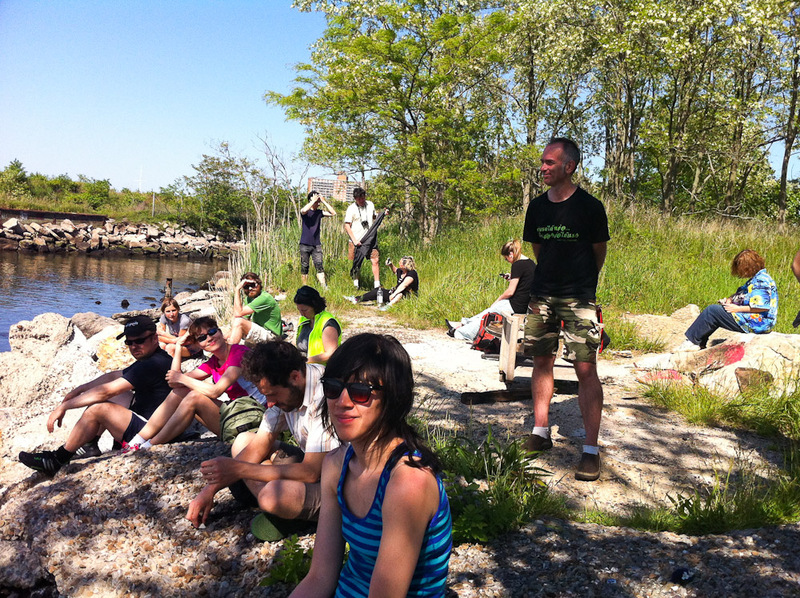 Bettina Jojae’s “eminent domain: Brooklyn” bike tour on May 19 was a huge success! Read more about it at our Past Events page. Check out our new “Past Events” page for coverage of our April 28 events! I am pleased to report our April 28 events were a big success! 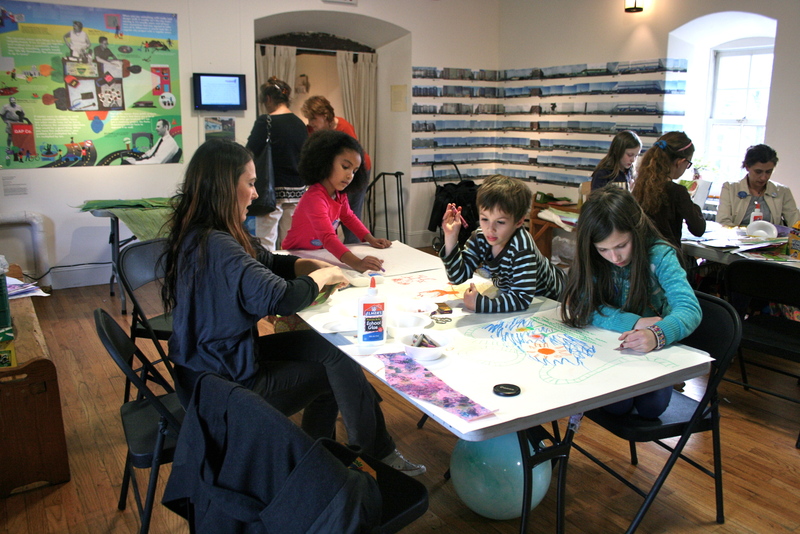 Three artists/arts groups presented innovative community events around the themes of public space, public parks, and play. 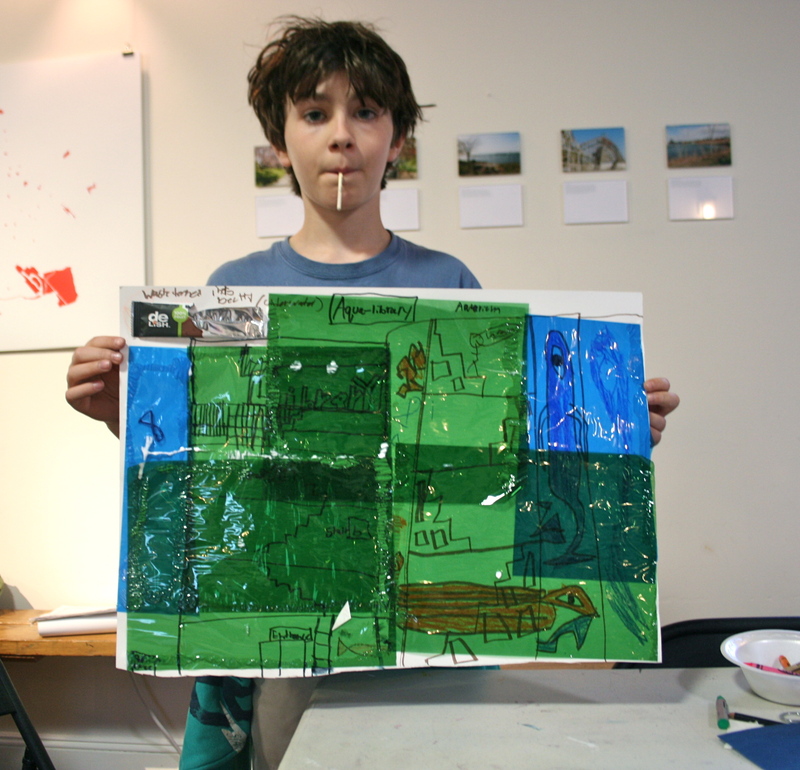 Artist/activist Triada Samaras led a brainstorming/mural-making session around the future use of the “Public Place” brownfield in Gowanus. Circle Rules Federation re-defined the idea of a tournament by leading a new type of football game out in the park, complete with costumes and a horn-player. Kat Schneck dared the public to stop for a few minutes and “daydream” by lying on a towel and watching the sky. 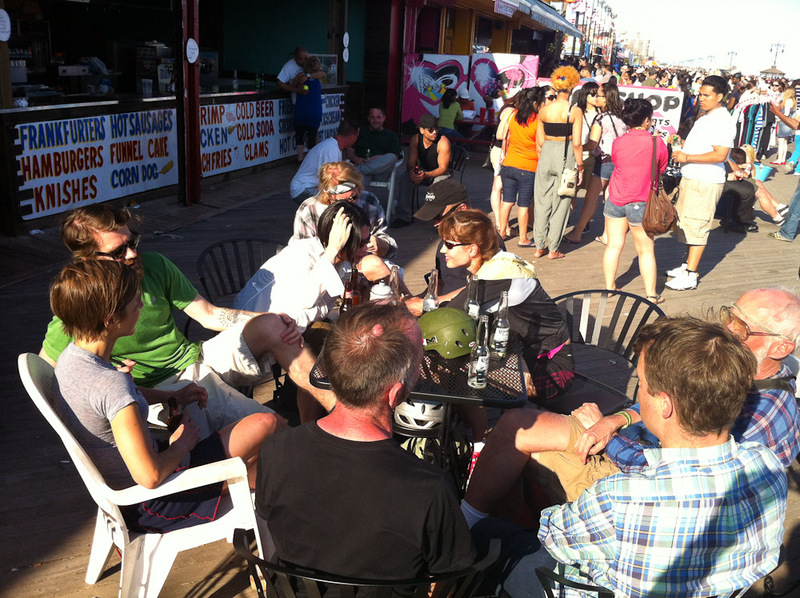 All events were well-attended and fun, not to mention thought-provoking! Check out a full summary and links to photos and press coverage at our new PAST EVENTS page! Make sure to also visit our press page for complete links to our ongoing press coverage. 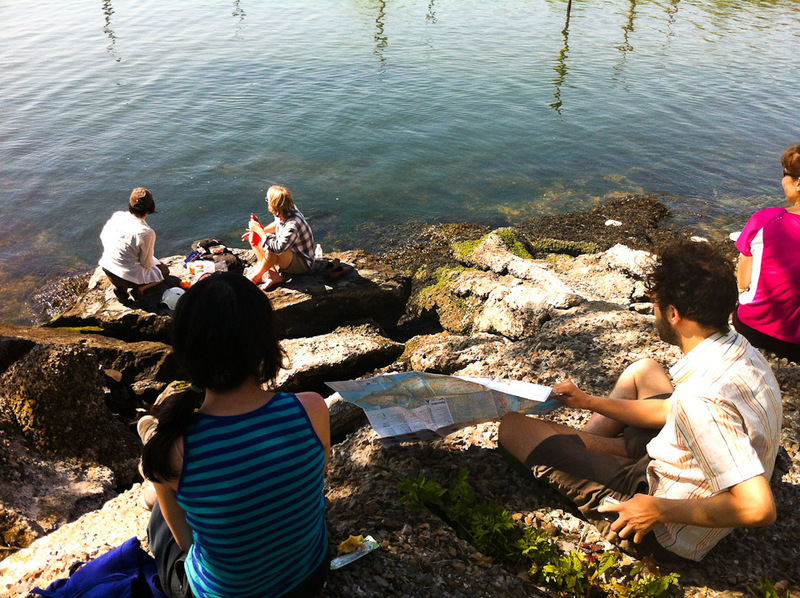 “Due to the great success of our Free Public Place art/activist workshop last Saturday at the Old Stone House with the Brooklyn Utopias: Park Space, Play Space exhibition, we are starting a new feature at our CORD blog. We plan to exhibit one “Free Public Place” artwork per day from this workshop, complete with the explanation by the artist. This art work will also be posted to our Free Public Place Facebook page, where the public can continue to weigh in with YOUR ideas and thoughts for Public Place after the EPA Superfund Clean-up. Check out the latest photos and press from our opening! See the photos from the opening on our Facebook page, thanks to Media Converged!! (Don’t forget to “like” both pages!). We’ll post some highlights directly here soon! And if you missed the opening festivities, simply save the dates for all our upcoming events! 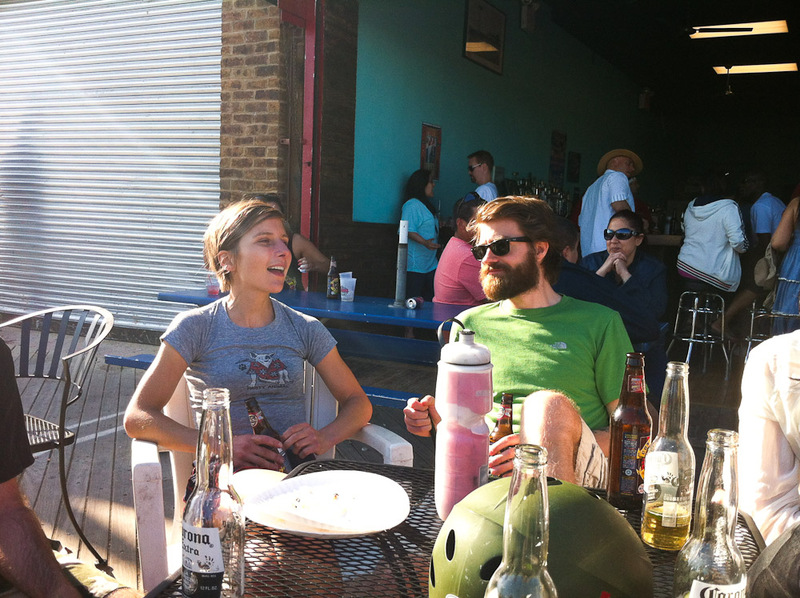 Send us YOUR Brooklyn Utopias and Park Spaces/Play Spaces, and virtual skywriting! Through our new partnership with Media Converged, we are now inviting the public to engage with the exhibit, by asking for submissions – “What is your Brooklyn Utopia?” or “What is your favorite Park Space or Play Space?” Entries consist of: photographs, video clips and poetry. Entries will be accepted via our facebook page Brooklyn Utopias, our pinterest page and featured on here. You may also email submissions to lara@mediaconverged.comfor inclusion on the blog. We also welcome people to follow our exhibit on twitter with hashtag #brooklynutopias, and pinterest. After you pledge: Instructions are easy: Use a sheet of paper scanned or photographed or a drawing program (like Photoshop) or make a simple line drawing or word sequence in a square area. 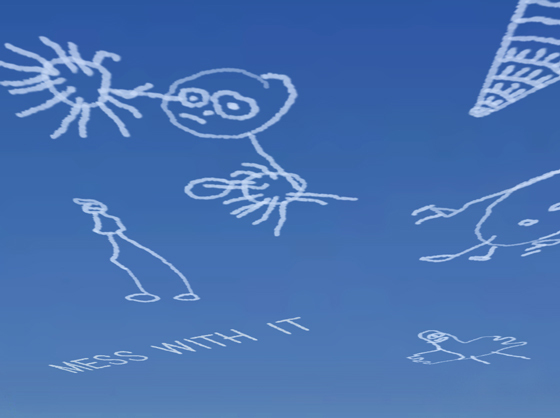 Send it as a JPEG to the artist Will Pappenheimer at willpap@gmail.com with subject heading “Brooklyn Utopias Sky Drawing” and he will convert it into virtual airplane trails for the sky by the opening on April 5. See below for a sample image of what the virtual skywriting will look like! If you pledge $10 or more and select this gift, you will also automatically receive free admission to our Patrons’ Reception at 6:30 on April 5. Artwork preview from our upcoming exhibition!